Parkersburg is the third largest city in the state of West Virginia with a population of over 30,000 people. There are many advertising opportunities throughout the city. Utilize out-of-home advertisements near universities like Mountain State College and West Virginia University at Parkersburg. Target you audience with outdoor billboards or other outdoor advertising at cultural attractions such as the Henry Cooper Log Cabin Museum or The Artcraft Studio. The major highways that serve the city also provide billboard possibilities. 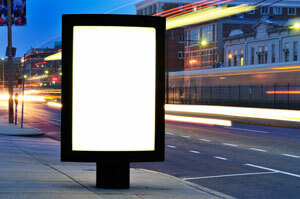 Billboards on I-77 or US 50 would generate high traffic exposure of your business. Zip Codes: 26101, 26102, 26103, 26104, 26106.